According to the National Institute of Health, eating a well-planned, balanced mix of foods every day is particularly critical for seniors. Health benefits to eating well, such as reducing the risk of heart disease, stroke, type 2 diabetes, bone loss, some kinds of cancer, and anemia, are particularly relevant in those later years when not only are we more susceptible to these conditions, but they are that much more challenging to cope with. In addition, clean eating boosts energy and mood, which is vital to improving and maintaining a high quality of life, especially later in life. So what does it mean to “eat clean” as a senior? The natural color of bright or dark produce means it’s loaded with vitamins and antioxidants. Even when your favorites aren’t in season, you can reap the benefits by buying the frozen versions. Try snacking on fresh vegetables in dip throughout the day, adding fruit to salads at lunch, or steaming or roasting vegetables as a side dish at dinner. Dairy is an excellent source of calcium, critical for bone health, and vitamin D, which in old age, becomes harder for the body to produce just from being out in the sun. In particular, low-fat milk, cheeses, and yogurt are highly recommended. Pair them with fruit or whole-grain cereal at breakfast or with a sandwich at lunch. Whole grains – from traditional whole grain bread to increasingly popular quinoa – are a great source of B vitamins and fiber. They are also versatile, creating a great base for tasty and creative meals. Whether you prefer a simple sandwich or an exotic whole grain salad bursting with local, seasonal fruits, whole grains are a filling, easy-to-prepare staple. While sufficient protein can improve mood, boost your resistance to stress, anxiety, and depression, and even help you think clearly, not all proteins are equally desirable. To include more high-quality protein in your diet, replace red meat with fish, chicken and turkey. There are plenty of vegetarian protein sources as well, such as beans, nuts, seeds, peas, tofu, and dairy. Drinking enough water is just as important as eating enough of the right foods. With advancing age, we become more prone to dehydration as we lose some of the ability to regulate fluid levels and our sense of thirst may not be as sharp. On the other hand, sipping water every hour and drinking water with meals can help prevent urinary tract infections, constipation, and even confusion. Homecare aids are experts in supporting the entire spectrum of needs in the home, including of course, healthy eating. Specific services offered by Abcor homecare aids include meal preparation, monitoring of diet and feeding, assistance with grocery list preparation and escorting clients to the grocery store. Aids can also be critical in reminding patients to take medications at the right times – especially those that need to be taken first thing in the morning or those that should never be taken on an empty stomach. 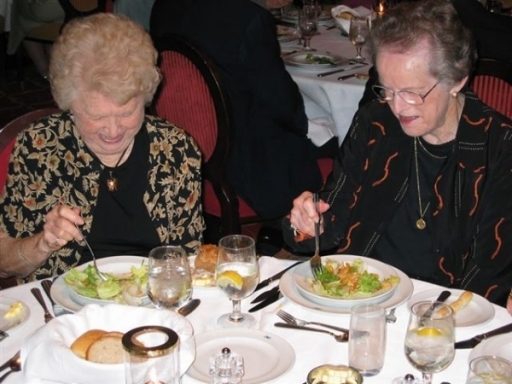 It’s important not to underestimate the importance of nutritious eating, especially in old age, and the potential homecare has to support those efforts.